After a long and busy week, the weekend is fortunately just hours away. The weekend is a time for us to rest, recharge and spend valuable time with those we love. 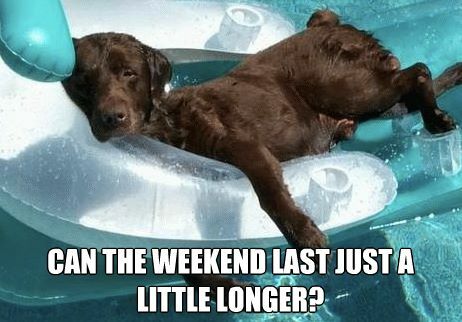 However, do you often feel just as busy on the weekends as you do during the week? At Exceptional Cleaning, we want to help you feel relaxed and stress-free on your days off. You deserve it! Have a plan for next week. The weekend is a time for you to have fun, relax and totally unplug. By simply spending a few minutes of your weekend planning for the upcoming week, you can save a ton of time and stress when the new week arrives! Having meals planned, schedules organized, carpool set, etc. will save you hassle, time and stress down the road. Prioritize your weekend to-do list. Whether you like it or not, there are typically still projects that need to be done on the weekend. We suggest that you do the most difficult, time-consuming task first! Once you have it out of the way, you’ll be able to enjoy the rest of your weekend in peace. Time is a precious resource, I will channel my inner Tom Hanks and ask that we do not commit the sin of turning our backs on it. For a free Quote call visit www.atlantaexceptionalcleaning.com or just give us a call 678-887-4306.